With 10 years on eBay and Thousands of items sold we provide you with the best service possible. 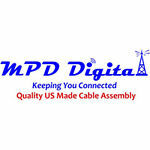 Please see our LMR-400 Times Microwave cable and other made in the USA products, We specialize in goods for Ham and CB radio as well as Wi-Fi and computer components. WE LOVE SPECIAL REQUESTS!